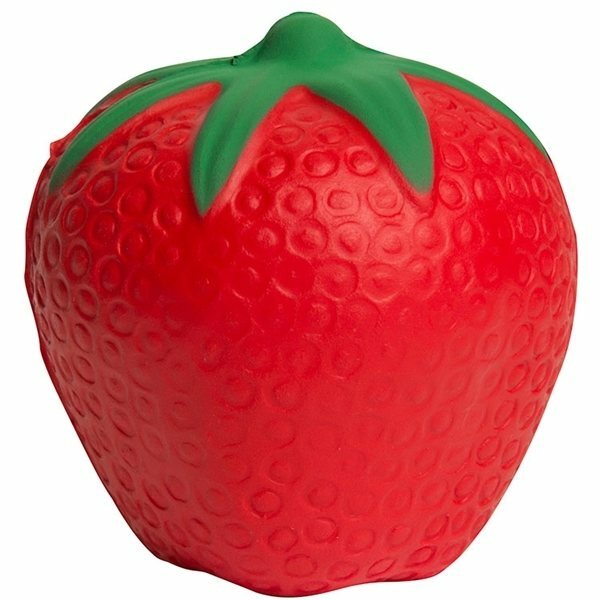 Strawberry shaped fruit stress reliever makes reducing stress a little sweeter! In a jam on how to reach new customers and clients? These are fresh picked and ready to be customized with your logo. Great for any trade show or convention! Hand these out to your employees participating in a corporate wellness program. Nothing but great feedback from my client. These products were precisely what I was expecting and arrived on the scene superbly. Our clients really loved them. the assistance from Grace, the quality of the product. We will always be pleased with the items and work we've received from Anypromo. Over all the process of ordering and getting these items was simple and easy. I recieved excellent customer service and will definitely use this company again. It was a fun giveaway!